Carboxylated nitrile roughtop provides superior service with longer wear, and better cut and gouge resistance than standard compounds used in general purpose roughtop specifications. Excellent abrasion resistant properties. 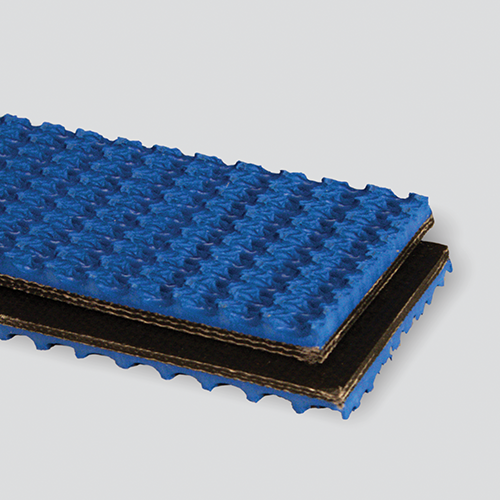 Popular for box board conveying. Thickness / Overall Gauge: 0.319"